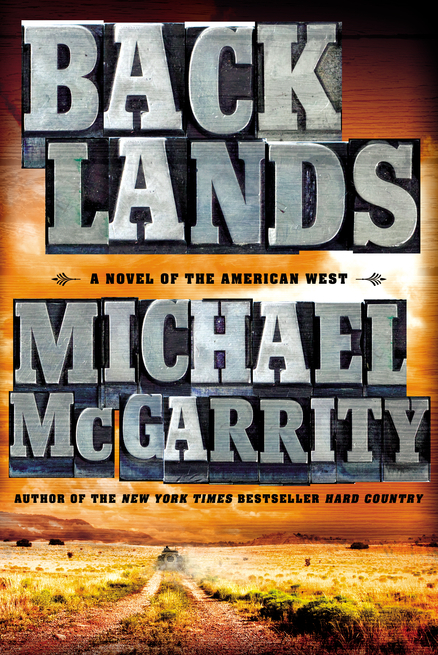 Darn good, old-fashioned Western storytelling: Western nostalgia and the beauty and serenity of southern New Mexico (1920 – 1943): Second in a trilogy, Backlands illuminates New Mexico’s heart and spirit in a family saga as expansive as the landscape. By centering on one family – the Kerneys – it offers a personal understanding of how the years of the stock market crash, Depression, Dust Bowl, Civilian Conservation Corps, and WWII’s Army Specialized Training Program affected the lives of hardworking ranching families in New Mexico’s desert Southwest. Backlands stands well alone. But its feel-good values are so beautifully told you’ll be sorry when it ends and anxious for the final chapter. If you can’t wait, or need another reminder about freedom and the “Code of the West” that vividly reveals “what kind of life a person lives” – especially when that life is physically, emotionally, and financially challenged – treat yourself, as I intend to do, to the saga’s beginnings, Hard Country (1875 – 1918). The prose and the deft storytelling are a tonic. MATT: You’ll visually watch him grow from ages 8 to 30. He loves his Ma, his horse, reading, education, and a beautiful gal, Beth Merton, who has come to New Mexico from Cleveland to be healed by its dry climate in one of the State’s TB sanatoriums. We see him as a cowboy, a cattle rancher, an engineering student, an auto mechanic, a forest service ranger, and an army officer. He’s a good, obedient boy and a very decent man who goes through a lot of tough times, often feeling an “empty weariness about life.” But he’s brave and resilient. EMMA: Matt’s Ma. She has a serious heart condition, is fiercely independent, a smart financial planner, and divorced early from Matt’s Pa. That’s why some of the novel is set in Las Cruces, where Matt and Emma live, not on Pa’s Double K ranch in the Tularosa. While she gets lonely, it’s “not as important as my freedom.” Emma has earned notoriety for having endured a roundup trail drive. Perfectly introduced to us at the time of the passage of the 19th amendment, the women’s right to vote, she’s a terrific example of how a ranch woman’s life was more equal to a man’s in the early 20th century than a woman’s from the East. That accounts for her native counterparts praise when a famous Western writer, Eugene Manlove Rhodes, writes a story about her cowboying escapades, yet she’s scorned by those eastern women. Rhodes is one of several authentic New Mexican historical figures nicely folded into the novel. He wrote about the beauty of the Tularosa, his stories serialized in magazines like The Saturday Evening Post, but he’s all but forgotten – except for now. Perhaps Rhodes’ poetic writing inspired the author to bring him back to life? PATRICK: Matt’s ornery Pa with a past that haunts him. One of Teddy Roosevelt’s Rough Riders in the Spanish American War, so he’s not afraid of hardships but a disagreeable character whose estranged from Matt, does best alone, and while not physically abusive to Emma hurt her “with words and looks.” To his credit, he cares deeply about the Double K ranch, “one of the nicest outfits on the Tularosa” despite its lack of modern conveniences. His character shows us that sound agricultural practices and foresight matters in the cattle ranching business, under the constant stress of weathering nature and financial crises. THE IGNATIO & LUCERO families: Teresa Ignatio is Matt’s maternal aunt, and Nestor and Gaudalupe Lucero are Matt’s neighbors in Las Cruces. Both Mexican families pay tribute to the historical heritage of Hispanics in settling New Mexico and the role of the Catholic church; gracious hospitality and fiestas; and the “closeness and affection” of proud families – proud of their traditions and their State. AUGUSTA & CONSUELO MERTON: Gus, a professor at the New Mexico College of Agriculture and Mechanics in Las Cruces and his wife Consuelo are the beloved and watchful aunt and uncle of Matt’s “wonderful love” Beth. Their hacienda is a great example of New Mexico’s ubiquitous architecture: thick adobe walls, “low-beamed passages” that sprawl onto an open courtyard with endless views of the desert. Beth is another strong female character: she dreams to become a doctor. VERNON CLAGETT: What would a Western be without an outlaw? This one allows the author to depict New Mexican law enforcement in the early 20th century. ERNIE PYLE and BILL MAUDLIN: Pyle, the renowned WWII reporter and Maudlin, Pulitzer-Prize winning WWII cartoonist, add two more compelling New Mexican historical figures to the cast of characters. They help tell the fascinating story of New Mexico’s role in WWII: Operation Husky. There are more characters, more stories, but to say more would be a spoiler. With all this telling of tales comes a delightful mix of old-fashioned, Western language – hornswoggling and lickety-split and hogwash and greenbacks and jake – and a swell balance of depicting New Mexico’s “stark beauty” against its parched lands and sobering history. As Matt’s friend, Boone, declared when he set eyes on the Tularosa: “I’ve never seen anything like this place.” You may feel the same, when you see it through the visually evocative prose. “Hard Country” and “Backlands” give an in depth look at a small slice of the American west and the lives of the people who settled there. Enjoyable and informative, it illustrates the impact the events of the world have upon even the remote and rural areas of this country. I look forward to reading the third book in this “Tularosa” trilogy. Great 2nd book in the Tularosa Trilogy. But please, Michael, publish a genealogy of the Kearney characters. You can do it on this blog. I have read all of the Kevin series and both Bad and Back land twice. A brief outline of the genealogy would help me keep it straight. Thanks. I just finished book 2, Backlands. Can’t wait for the 3rd. Great books both..
Ditto on that genealogy. We have been listening to the Audible book as we drive cross-country from the East Coast back to New Mexico. A great road trip read! Just finished listening to Backlands. It was fantastic. I really felt as though I was there on the plains. Now I need to go back and read the mysteries. AND I cannot wait for # 3. When is it coming out? Just finished Backlands and enjoyed every minute. As a fan of the Kevin Kearney series and not much of a western reader, I started the Trilogy for the backstory. I will always be glad that I did and am anxiously waiting for the final book. WOW. 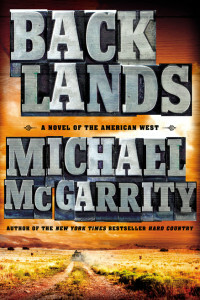 I received “Back Lands” when it was released and started reading it this week (Monday). I just finished it (Wednesday) and the only word I have is WOW. I have all your books and the first 2 issues of the trilogy are required reading and oh by the way, great books. Yes I will wait until 2016 to get the last book of the trilogy. Keep writing and thanks for your great reads.